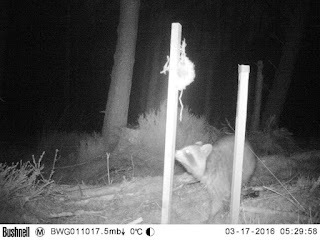 This news release from Scottish Natural Heritage (SNH) particularly caught my attention because recently while walking a wooded track to the south west of Inverness my path was crossed by a black Leopard like animal about the height of a medium sized dog. It makes one wonder what else is out there. Raccoons have been identified in Scotland as one of the top 50 invasive, non-native species most likely to be introduced and cause negative impacts. They are currently kept as pets and zoo animals, and there have been several escapes in the last few years. considered to be a major nuisance, causing damage to buildings and gardens and foraging in rubbish bins. They also carry wildlife diseases, such as rabies. 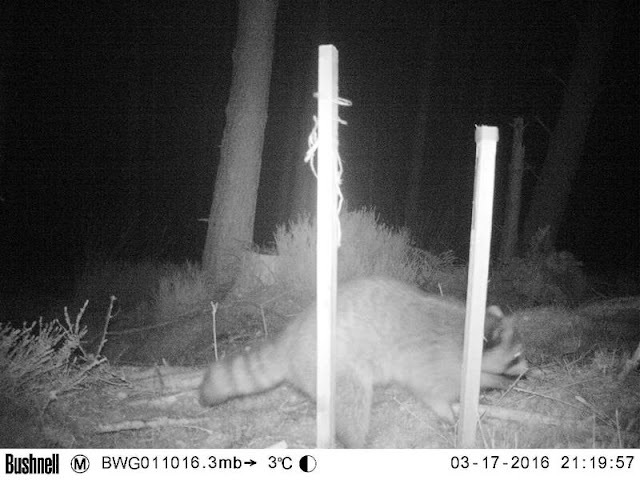 Members of the Blackwater Wildlife Recording Group caught the animal on camera on 17 March. 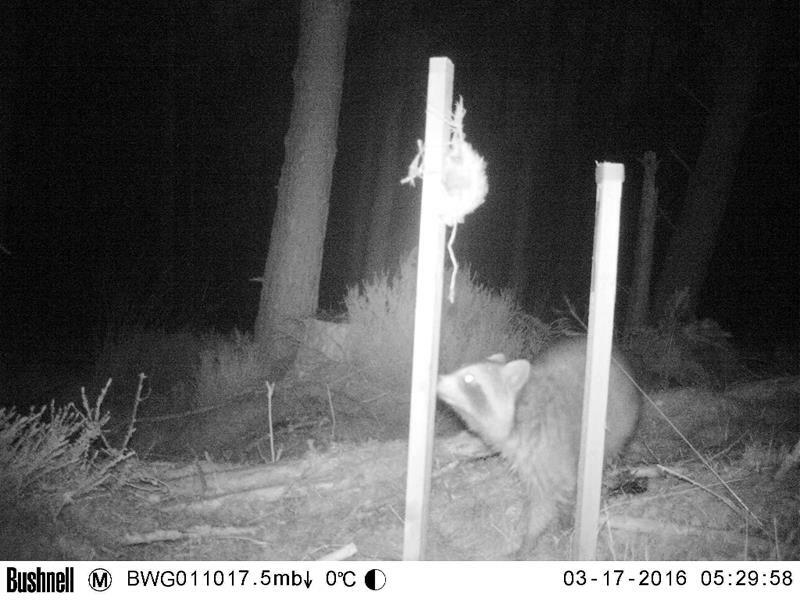 The camera traps were set to capture images of the elusive Scottish wildcat, as part of the Scottish Wildcat Action Project winter survey in the Strathpeffer area. Raccoons were deliberately introduced to Germany in the 1930s and the population in Europe has now grown to over a million. In the U.K., raccoons aren’t established in the wild, but sightings have been reported since the 1970s. “Raccoons could cause millions of pounds worth of damage per year to the Scottish economy if they became established here. They could also cause significant damage to our native wildlife by preying on birds, small animals and amphibians." “Raccoons aren’t dangerous, but they may give you a nasty bite if cornered. The racoon that has been recorded is an adult and roughly the size of a domestic cat." 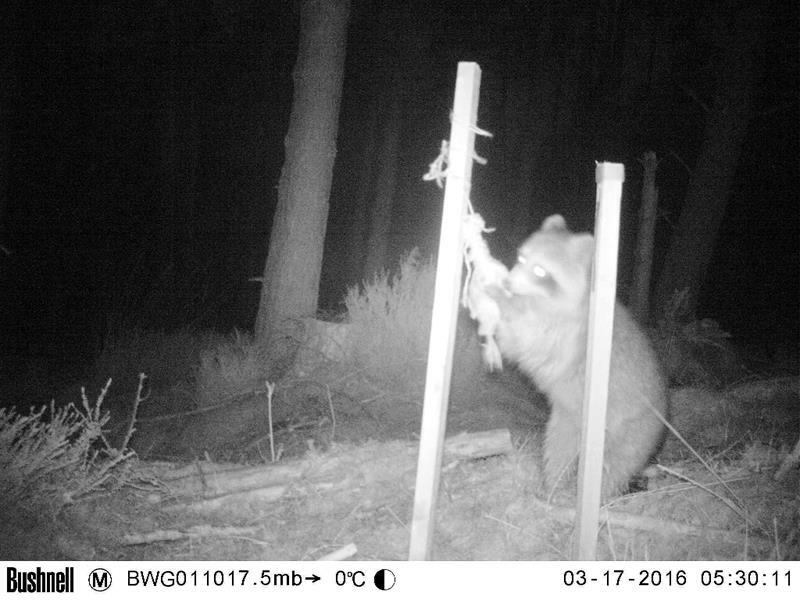 If you come across the raccoon, do not approach it, but please report it immediately on the Scottish Environment and Rural Services (SEARS) telephone number 08452 30 20 50 or Email:info@sears.scotland.gsi.uk. Raccoons have faces with distinctive, dark bandit masks, pointed muzzles, and large ears. They have grey-brown fur with a bushy tail with four to six black rings. They are nocturnal and highly dextrous with their front paws. The cost of invasive species to the Scottish economy is an estimated £245 million per year and they are one of the greatest threats to biodiversity worldwide. Globally, invasive species have contributed to 40% of animal extinctions in the last 400 years. The battle with invasive non-natives aims to eradicate, or limit the spread of species which have found their way here.